The Fat Quarter Shop and Amy Webb of amylouwho have teamed up to present you with a Fat Quarter Shop Exclusive! Amy has specially selected 12 of her favorite prints along with 3 coordinating solids from our store for this special bundle found only at the Fat Quarter Shop. A: I haven't decided what I'm going to make yet. But it will most certainly be a quilt. And I'm crushing on stars right now. 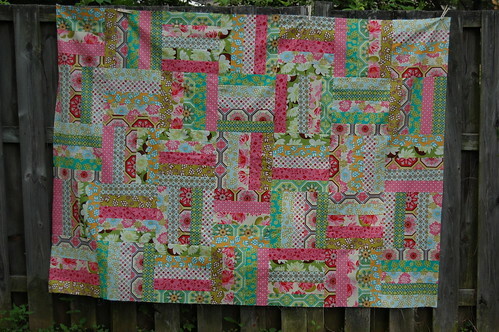 I love Rachel's Debonaire Quilt and I have the Swoon Pattern too. But who knows, maybe I'll finally make that zig zag quilt I've wanted to do! Well actually, I am definitely going to make the zig zag quilt! 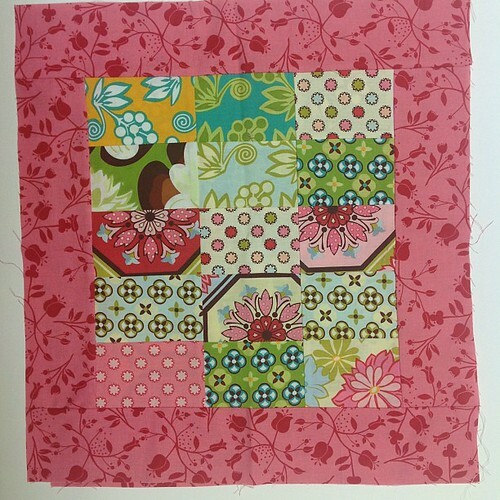 A: I am currently working on the back of my Ginger Blossom Rail Fence quilt. I finished the quilt 3 years ago and have been perplexed by the back. Of course I can't just do something plain, so I'm currently piecing the leftovers into blocks to put on the back. Leave a comment on this post choosing one of each pair you think Amy would have selected. 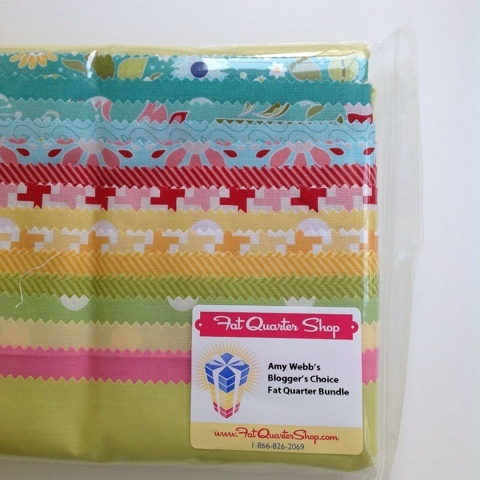 Answer correctly and you will have a chance to win one of the Amy Webb's Blogger Choice Fat Quarter Bundles.